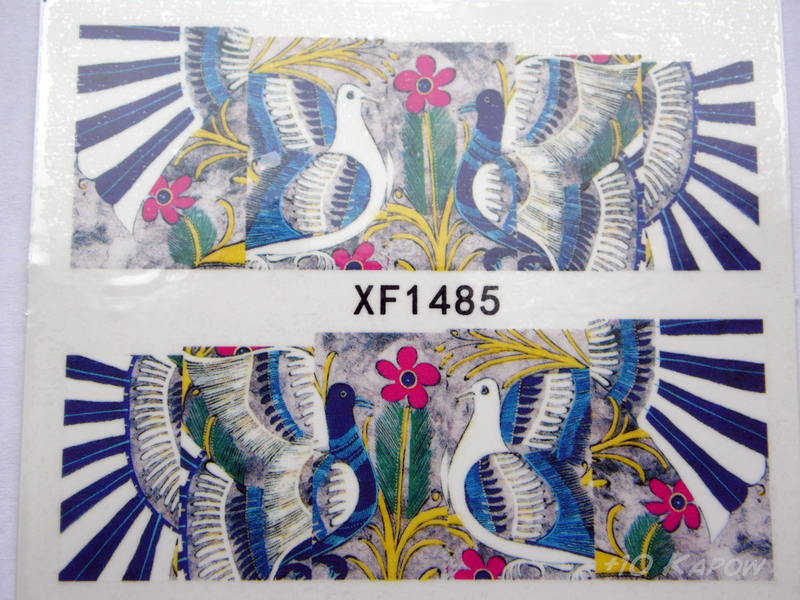 Like the peacock nail wraps, these Born Pretty Store bird/dove/pigeon full nail water decals are pre-sized and pre-cut. 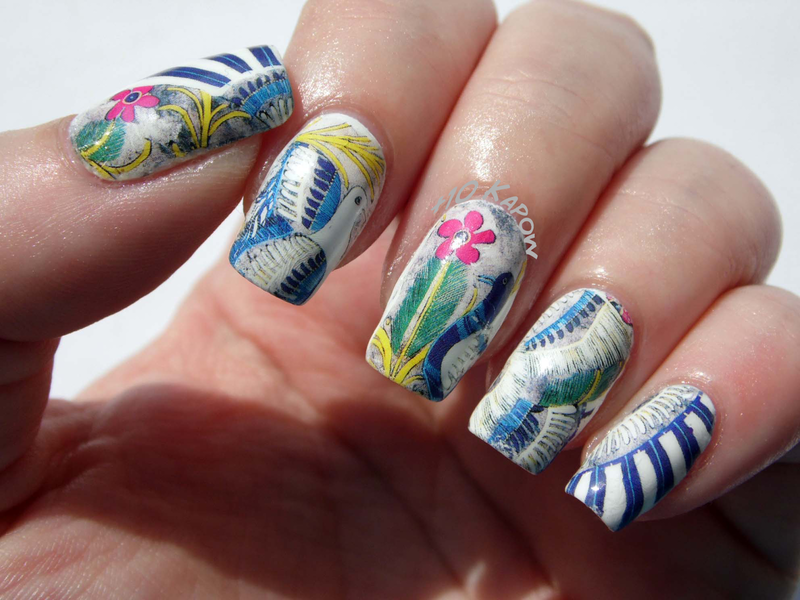 The design is vibrant and made so each nail should line up with the next to make one large image across the nails. 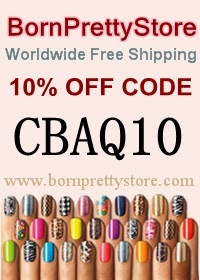 The decals are great quality, they needed only a few seconds in water before they slid off the backing, they didn't curl or fold between coming off the backing and applying to my nails, they were easy to position and smooth out and even with my curved nails, I had minimal creasing. I put them on over a base of Barry M Gelly Cotton and topped the decals with a coat of Seche Vite and even though the topcoat is fast drying, I didn't get any decal shrinkage or melting at all. The colours of the decals did not bleed or run and remained vibrant even after the topcoat was applied. Clean up was a breeze, just an angled brush, dipped in a bit of polish remover and it came off like magic. Removing it was also just as easy, they come off just like nail polish so no chunky bits getting anywhere annoying. I'm actually more fond of the finished result than I thought I would be, I like decals, I think they are great for nail art when you are feeling lazy, I'm still not a fan of the pre-cut, pre-sized decals and I think having a design that needs to line up just makes them a little more difficult to use, but in the same range as these ones, there are some absolutely gorgeous designs that are just as vibrant and can be mixed up on your nails. You can find these decals here for £1.00 ($1.47) and don't forget to use my discount code CBAQ10 for 10% off your entire basket amount. Did you watch the Game of Thrones season 5 premiere? I wish they would release it all at once like on Netflix but then I think it would be all over too soon and that would make me sad. The decals in this post were sent to me for review purposes. All opinions expressed are my own, honest opinions.